Why is Apple's Airpower still a no-show? There's been speculation about why Apple hasn't already shipped its wireless charging pad, which was announced a year ago. The focus now: technical challenges that delayed the device's arrival. It's now been a full year since Apple announced it would release its first wireless charger to go along with the first iPhones that could be wirelessly charged. Expectations were high Apple would use this year's iPhone event to roll out the AirPower charger, which it said would be released this year. As is typical, pundits have speculated before each Apple news event since then that the company would finally reveal the device; that has yet to happen. Some publications predicted a release this past February; others expected it March. Bloomberg reporter Mark Gurman, who has been cited by MacRumors as having solid insight into upcoming announcements, wrote that Apple engineers hoped to launch the device by this month. But at an event that included the announcement of three new iPhones and an updated Apple Watch, that didn't happen. Apple did not respond to a request for comment about whether it still plans to ship the AirPower pad this year. Jack Gold, principal analyst with J. Gold Associates, said it was interesting that Apple didn't even mention its wireless charger today. "It may be that they just didn’t want to take away from the excitement of the new Watch; that’s the 'gem' of the announcements in my opinion – and the phones," Gold said. 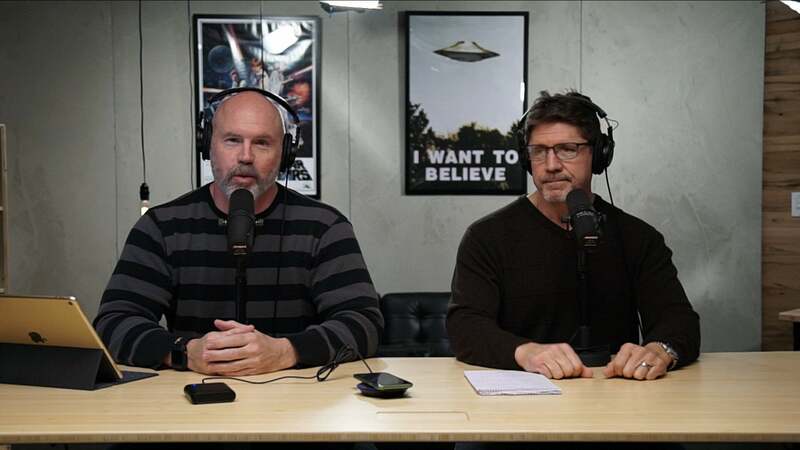 "Could also be that the product just isn’t ready for prime time yet. "Everyone else seems to have come out with a wireless charger, some being pretty advanced," he said. "I’m not sure why Apple hasn’t yet, unless they really are trying to do something so advanced that the devices – not the charger – are not ready for it yet." 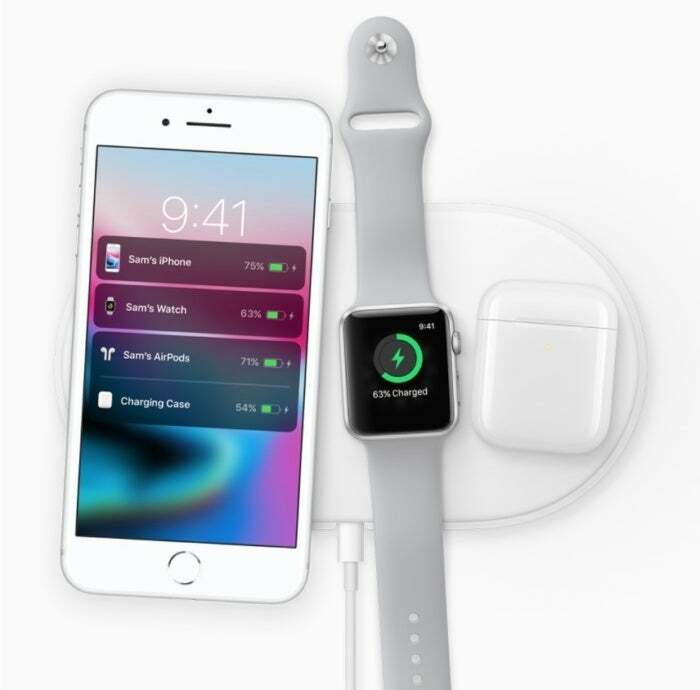 At the time of its 2017 announcement, Apple described the AirPower pad as capable of charging three devices at the same time: an iPhone 8 or iPhone X, an Apple Watch Series 3 and AirPods via their charging case. Since there are already wireless chargers available today capable of charging three devices at the same time, an obvious question is: Why is it taking Apple so long to come out with its own charger, especially since it will use the widely adopted Qi-charging specification? 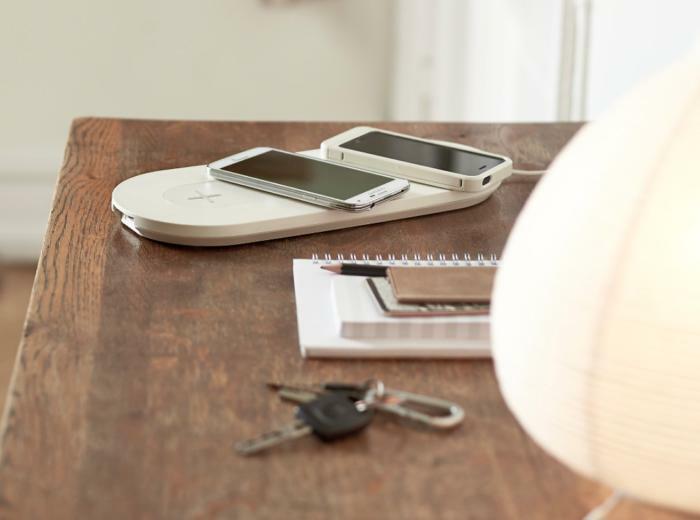 Ikea's Qi-based wireless charging pad can power up to three devices at the same time. Gurman's Bloomberg article claimed that informed sources had said Apple engineers have been toiling away attempting to address technical hurdles, all the while conceding the wireless charging market to third-party competitors. In fact, Apple even recommended that users purchase wireless charging pads from Mophie and Belkin to use with the iPhone 8 and iPhone X lines. Belkin's Boost Up Wireless Charging Pad and Mophie's wireless charging base sell for $50. There's little doubt Apple will be charging a hefty price premium for its triple-device charging pad, according to Gold. "Apple doesn't just want to put out another commodity wireless charger. They want to add some of their own unique secret sauce to the device. That is essentially why it's taking so long," Gold said. "The question is: Did they bite off more than they can chew? "I think they did underestimate the scope of what they are trying to do, and certainly the time frame needed to accomplish it. I'm sure once it's out, it will be a success, as it will appeal to the Apple device fans," Gold added. Apple is likely addressing a number of issues with its charger that are not present in current third-party chargers, such as adjusting electrical current and charging duration for each device placed on it. That means it has to build some "smarts" into the device, and perhaps incorporate additional features, since the device will have a processor inside, Gold said. The company is also rumored to be considering features such as cross-device synchronization and Bluetooth connectivity. 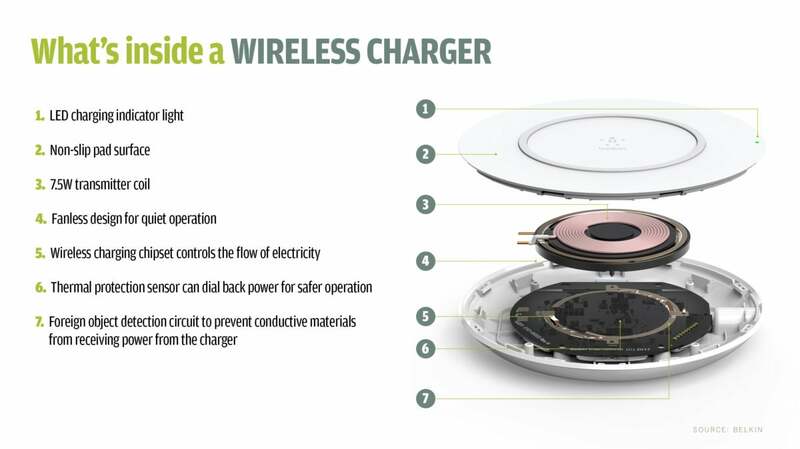 Belkin's BoosUp wireless charging pad is similar to others on the market; it contains a copper transmitter charging coil, a chipset to control the power delivered to a device, and foreign object–detection technoogy to deal with objects that shouldn't receive a charge. "Finally, it means that a lot of testing has to be done to ensure both charging adequacy as well as it won't damage any devices Apple has in market (not just phones, but the watches and ear buds as well)," Gold added. The technical challenge for Apple is not only to detect and charge multiple devices with different power requirements, but to do so with these devices placed in an ad hoc fashion on the charger, according to Mark Hung, a vice president of research at Gartner. "Given the delay, I assume Apple's engineering team has found this challenge to be a little tougher than what they had originally expected," Hung said. Current wireless charging pads that allow up to three devices to power up at the same time require them to be placed in specific locations — basically X marks the spot on the pad. "Whereas with AirPower, you're able to place it willy-nilly anywhere you like," Hung said. The Qi standard supports both tightly coupled, or inductive, wireless charging and loosely coupled, or resonant, wireless charging, which allows an enabled mobile device to be up to 1.75 inches away from a charging pad and still receive power. That distance allows mobile devices to be more loosely placed around pads in order to charge rather than needing to be placed in an exact spot to receive power, but the leeway is still tight. 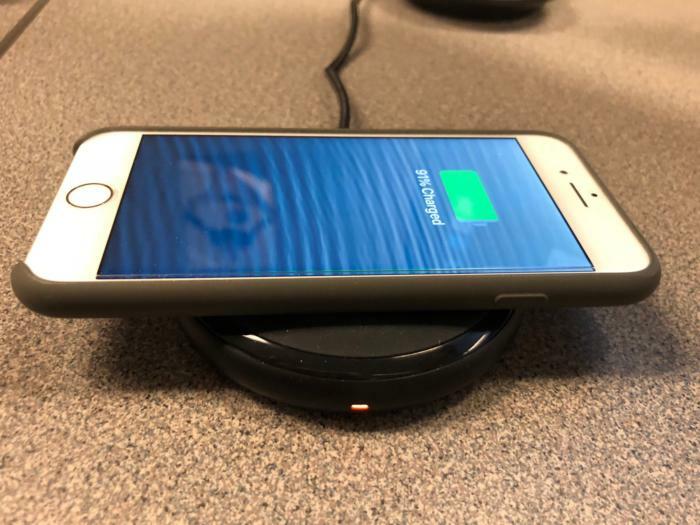 An iPhone 8 being charged atop a wireless charger from RavPower, which is capable of transmitting up to 7.5W of power. Qi charging devices are capable of scaling from less than 1 watt (W) to more than 2,000W of power for charging large appliances. But for mobile devices, it transmits up to 15W, enabling charging at the same speed as wired charging. Apple's AirPower pad will likely at least support "fast charging," the transference of 7.5W of power versus 5W for most chargers today. Benjamin Freas, an associate director at Navigant Research, said that while he doesn't have any insight into the specific challenges Apple is facing, wireless charging technology has evolved to the point where a good user experience can be expected when AirPower does finally emerge.